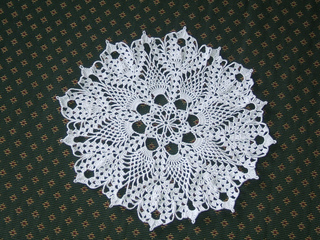 Doily measures 12 inches in diameter. A vintage pineapple doily made all in one piece, without requiring a new thread for each pineapple. Also called Pine Cone Doily.